Do you dream of downsizing but hate the idea of giving up the possibility of a luxurious bedroom? 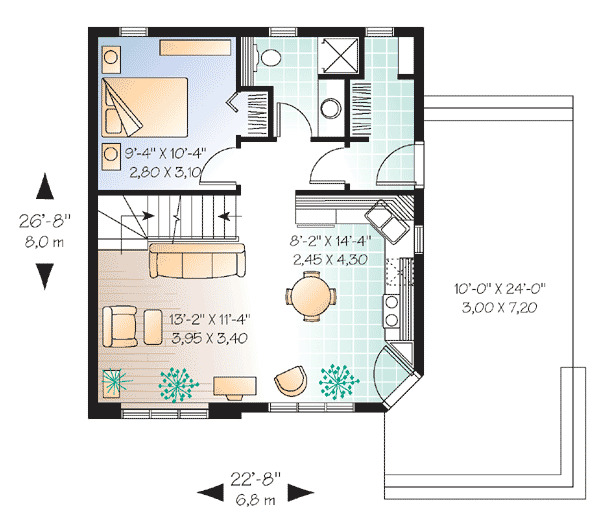 Lucky for you, the following floor plans show that it's possible to have a wonderfully luxurious bedroom even if you're living in a tiny home! In fact, the cozy cottages below are the total package. 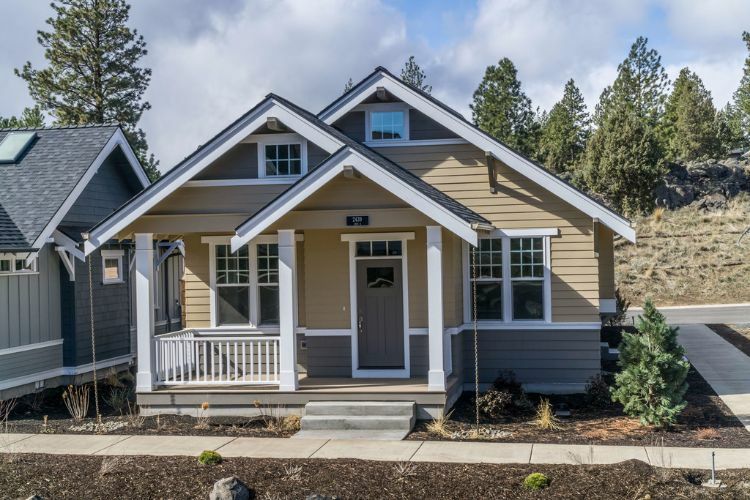 They all have plenty of curb appeal, access to outdoor living spaces, and master bedrooms that boast features like vaulted ceilings, walk-in closets, sitting areas, and even a fireplace! 1. 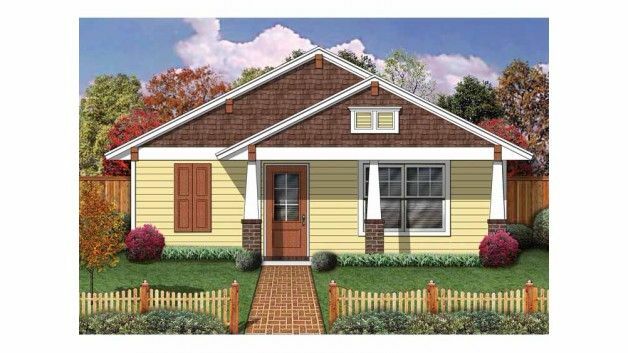 Craftsman design with single garage from Houseplans. 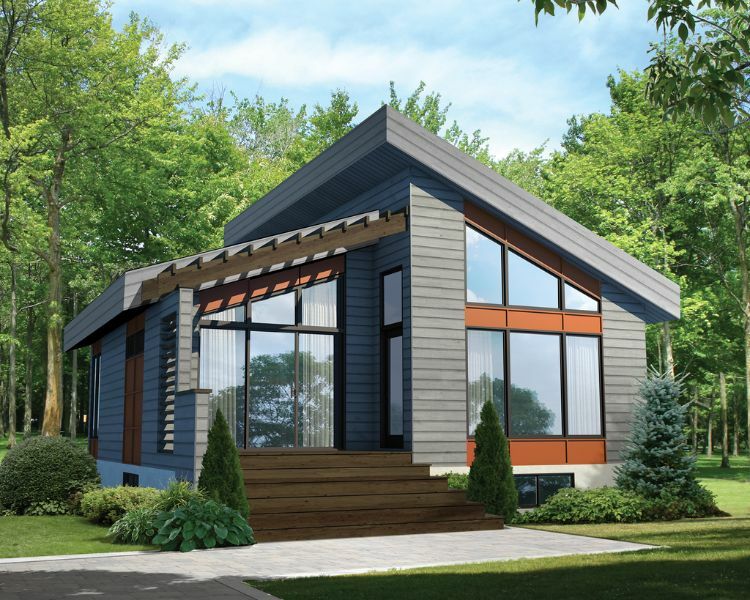 This design from Houseplans comes in at 788 square feet (73 square meters), and it offers a single garage. The front door opens directly into the large great room, which boasts a fireplace on the left wall. The L-shaped kitchen is on the right-hand side of the living room, and it has a large central island as well as a good-sized pantry. A hallway at the back of the kitchen leads to a mudroom with a coat closet and a laundry closet, and the master suite is on the left-hand side of this space. This room has a large closet, an attached bathroom, and a private patio. 2. 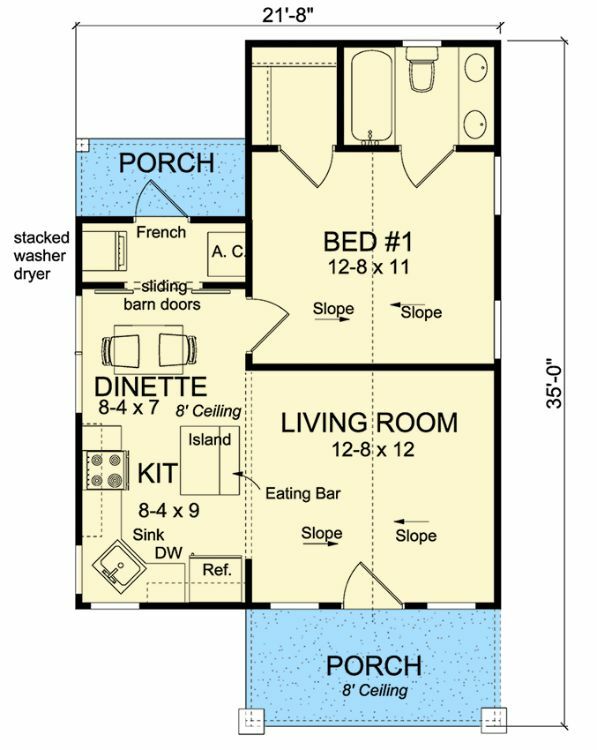 Simple one bedroom home from Floorplans. 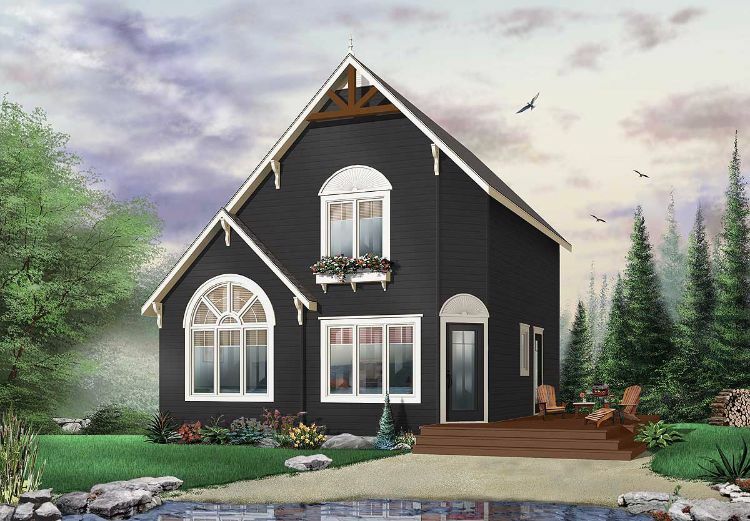 At 697 square feet (65 square meters), this design from Floorplans has plenty of curb appeal thanks to Craftsman features like paned windows and tapered columns at the front entrance. A small coat closet sits right inside the entryway, and the family room is off to the right. The kitchen sits behind the family room, and it provides access to the backyard or an optional back patio. 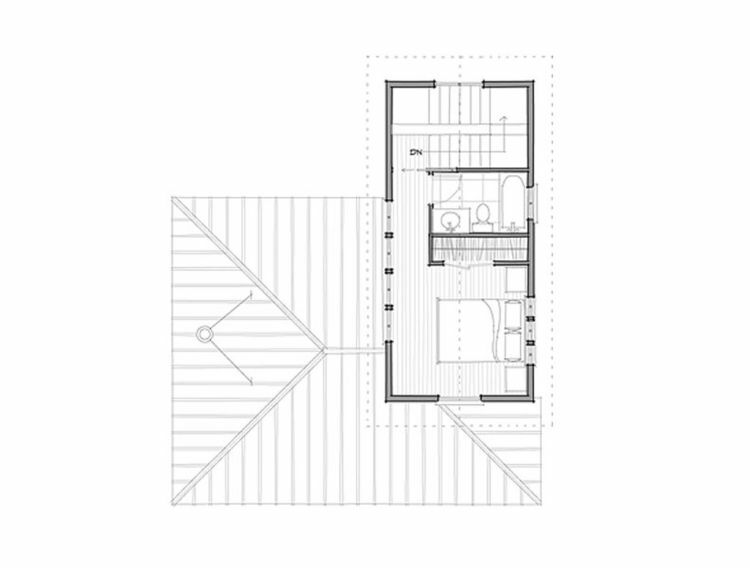 A door on the left side of the kitchen leads into the master suite, where double doors open into the bathroom. A second set of doors inside the bathroom provides access to a spacious walk-in closet. 3. Tiny bungalow with vaulted ceilings from Architectural Designs. 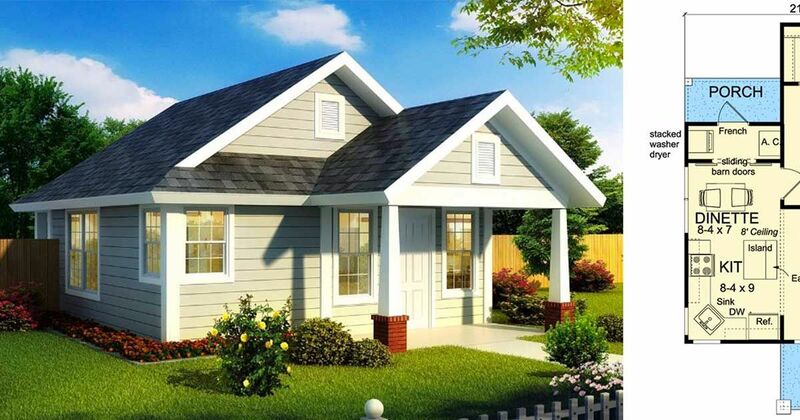 This charming little home from Architectural Designs measures 550 square feet (51 square meters). The front door is located under a small covered porch, and it opens into a living room with vaulted ceilings. The kitchen is off to the left, and it has an island as well as space for a two-person dining table. Sliding barn doors behind the dining area open into a small laundry area that in turn leads to the back patio. The master suite takes up the back right corner of the home, and it features vaulted ceilings, a walk-in closet, and a bathroom with a tub and his-and-hers sinks. 4. 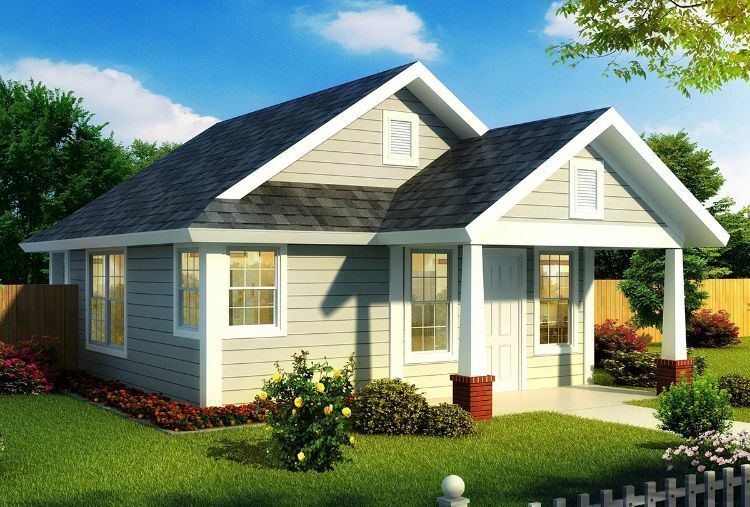 One bedroom cottage with wraparound porch from Houseplans. 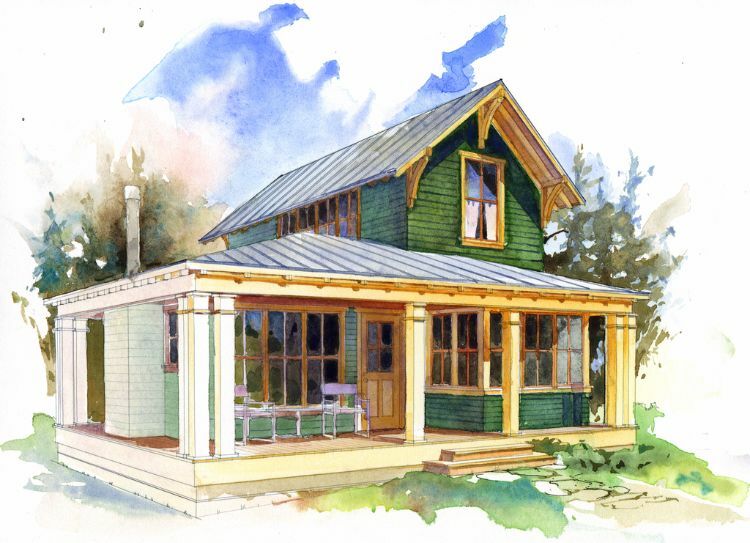 Coming in at 780 square feet (72 square meters), this design from Houseplans boasts a large wrap-around porch with a door on either side of the living room. The kitchen is on the right-hand side of the living room; it has an island as well as enough space for a small dining table. Behind the kitchen, you can find a laundry closet, a half-bathroom, a coat closet, and a staircase. The master suite is tucked away on the second floor, and it boasts plenty of windows, a large closet, and a bathroom with a tub. 5. Charming contemporary design from Houseplans. Measuring 815 square feet (76 square meters), this design from Houseplans boasts vaulted ceilings and a charming pergola above the front entrance. The front door opens directly into an open concept living room, dining room, and kitchen with a large island and pantry. A second door in the back right corner of the home opens into a small tiled area with a coat closet, behind which is the laundry closet. The remainder of the home is taken up by the master suite, which boasts a large walk-through closet that leads to the spacious bathroom. A double-sided wood fireplace warms both the living room and the bedroom. 6. 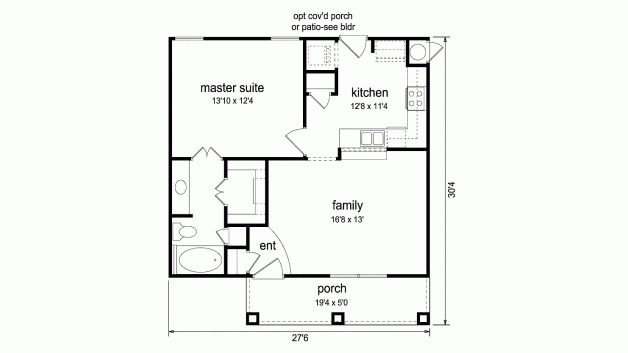 Two-bedroom home with second-floor master suite from Architectural Designs. 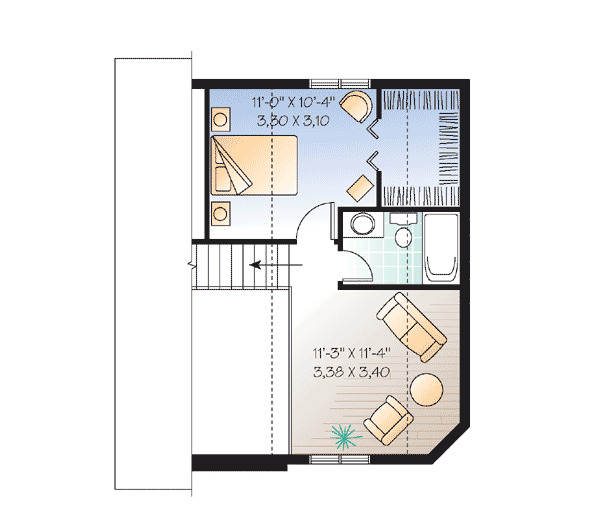 This two-bedroom home from Architectural Designs comes in at a relatively spacious 991 square feet (92 square meters). The front door sits on a large, uncovered deck, and opens into an open concept living room and eat-in kitchen. There is a second door at the back of the deck, which leads into a mudroom with a coat closet. 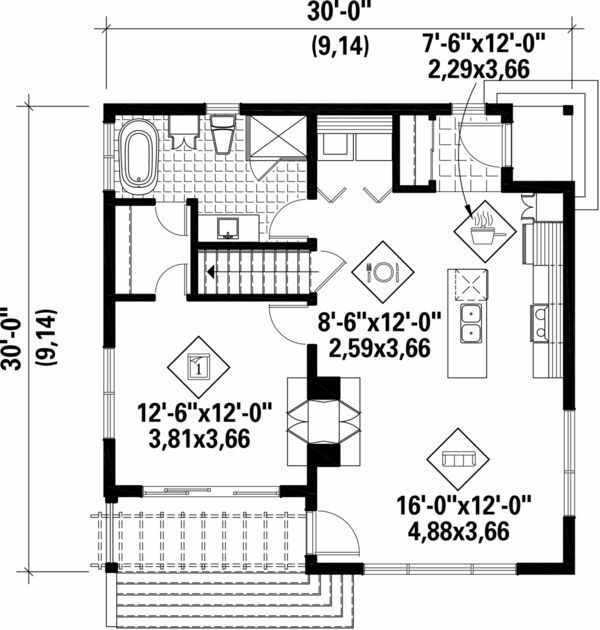 A bathroom with a shower is located beside this space on the left, and the first of two bedrooms is to the left of the bathroom. 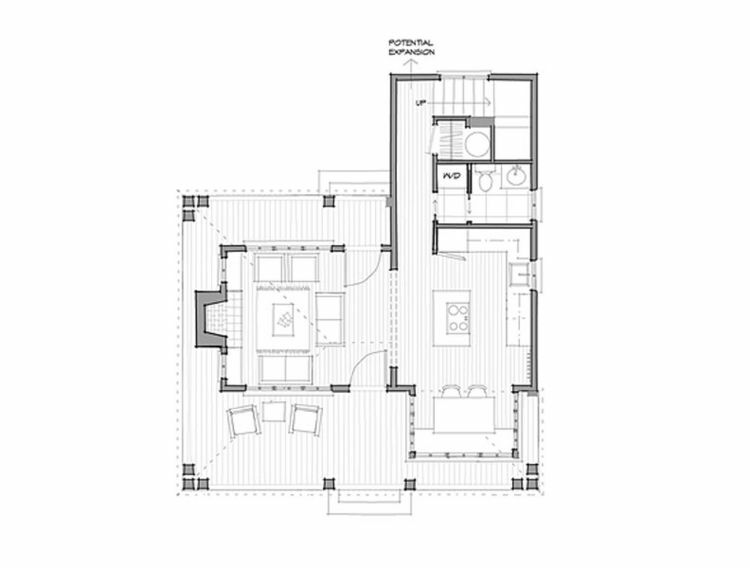 Upstairs, the spacious master suite boasts a large walk-in closet, a bathroom with a tub, and a private sitting area.